Kesari Teaser: The Akshay Kumar And Parineeti Chopra Starrer Will Keep You Hooked With The Hard Hitting War Scenario! 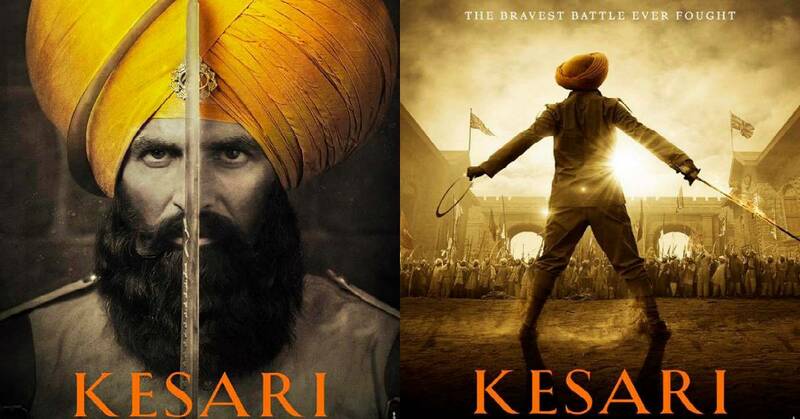 The Akshay Kumar starrer Kesari is one of the most anticipated films of this year. The film is directed by Anurag Singh and is based on the battle of Saragarhi which was fought between the British Indian army’s Sikh Regiment and the Afghan tribesmen in September 1897. Around 21 Sikh soldiers were attacked by 10,000 Afghan soldiers which led to the Sikh soldiers fighting a brave battle till their last breath. Akshay Kumar finally shared the teaser of the film today. The teaser promises to keep us hooked with its hard hitting and intriguing visuals with some phenomenal VFX. The teaser has the soldiers fighting bravely with a powerful sound of a warcry. This has got us even more pumped up for the film. The film stars Akshay Kumar as Havildar Ishar Singh who fought against the Afghans to win the love of his estranged daughter. The film also stars Parineeti Chopra as the main female lead. It will be releasing on March 21st, 2019.